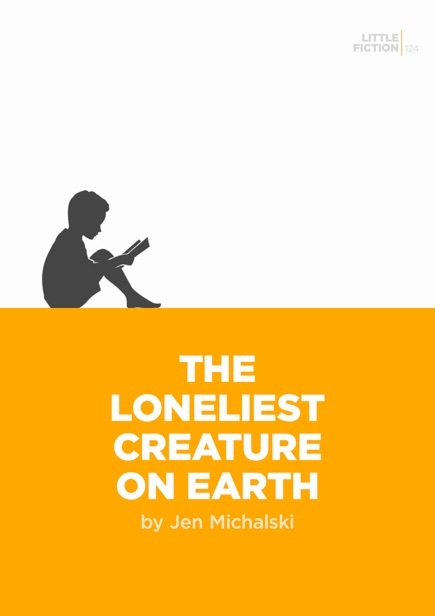 jen michalski blogger: New Fiction at Little Fiction: "The Loneliest Creature on Earth"
New Fiction at Little Fiction: "The Loneliest Creature on Earth"
"Later, we will explain to you at your mother’s wake, that the final month was the worst for our son. Not because of his incapacitation or the anti-contamination chamber, but because there simply weren’t enough kind people like you to come and visit him. No one for him to tell, for instance, that the man who found the 5000-year-old corpse named the Iceman in 1991 was also found frozen dead in ice in 1994. And goodness knows, we stopped listening to him months ago."